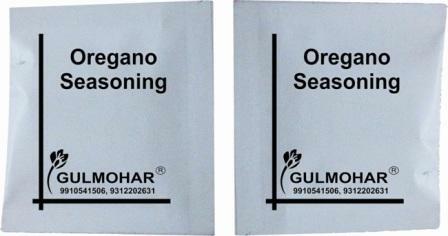 SFP introduces Oregano Seasoning pouches in paper packaging. They are ideal for your restaurant tables, coffee shops, or any business in the hospitality industry. >> Packing available in paper pouches. >> Pouch design can be customized as per requirement. >> Single color and multiple color pouches available. >> Per pouch weight can be changed as per requirement. © Gulmohar® 2004-2014. All Rights Reserved.